Research News: Special Education Research Grants! I'm really looking forward to the upcoming Improving Data, Improving Outcomes conference for early childhood data managers and related staff! You can read more about this event in "Early Childhood Check-in" below. Earlier this month, OSEP hosted the 2018 Project Directors' Conference, which brought out nearly 900 of our grantees and partners in the areas of special education and early intervention personnel development, educational technology, parent centers, technical assistance for states and educational institutions across the country, and more. Materials from the conference will be archived on the OSEP Meetings website soon. I also wanted to highlight the recent appointment of Kathleen Airhart as Program Director of Special Education Outcomes at the Council of Chief State School Officers (CCSSO). This position plays a critical role in CCSSO's partnership with our technical assistance (TA) center, the National Center for Systemic Improvement (NCSI), to make a significant impact on the outcomes of students with disabilities. 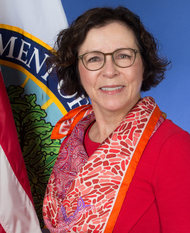 Airhart steps into this role after many years of experience serving as Tennessee Department of Education Deputy Commissioner and as a superintendent, supervisor of special education, and special education teacher in Tennessee schools. I welcome and look forward to working with her in this unique and critical role! This spring, OSEP reviewed state performance plans/annual performance reports (SPP/APRs), and in June, issued responses and determinations on states' implementation of the Individuals with Disabilities Education Act (IDEA) in federal fiscal year (FFY) 2016. OSEP released a fact sheet to accompany the determinations. Additionally, OSEP released FFY 2018 funding for states under IDEA Parts B and C on July 1. OSEP held its monthly National TA Call on July 12. The presentation included an overview of the State Systemic Improvement Plan (SSIP) review process for the Phase III, Year 2 submissions that were due in April of this year. It also provided information on what to expect during the SSIP feedback conversations that will take place throughout the summer; an explanation of this year’s SPP/APR review process; and an overview of the SPP/APR responses. The responses can be found on OSEP's APR website for public viewing, including the supplemental documents that are attached to each state’s response. On Aug. 10, 2018, the Center for IDEA Fiscal Reporting (CIFR), the IDEA Data Center (IDC), and NCSI's Fiscal Support Team will co-host a webinar that provides an overview of IDEA fiscal processes. It is intended for state directors of special education and state staff who are new to the IDEA fiscal work. The webinar will be held at 2 p.m. EDT and will provide an in-depth look at participant support costs and preparing for LEA MOE compliance reviews. The Center for the Integration of IDEA Data (CIID) recently released Data Quality Through Data Integration: How Integrating Your Data Will Help Improve Data Quality. In this brief, CIID describes three specific scenarios along the continuum of data integration: 1) siloed or not integrated, 2) in the process of integration, and 3) fully integrated. The brief illustrates how a robust integrated data system improves the quality of data. Each scenario is investigated to show its impact on data quality. Improving Data, Improving Outcomes will be held Aug. 14–16, in Arlington, Virginia. This year's event is sponsored by DaSy (the Center for IDEA Early Childhood Data Systems), in collaboration with IDC, NCSI, and the Early Childhood Technical Assistance Center (ECTA). It will focus on the 1) development and enhancement of IDEA Part C and Part B Section 619 data systems and coordinated early childhood data systems; 2) improvement of data quality; and 3) the measurement and use of child and family outcomes data in order to make data-informed decisions. Apply to Become a Pyramid Model Fellow Today! The National Center for Pyramid Model Innovations (NCPMI) is pleased to announce a Pyramid Model fellowship for doctoral students and recent doctoral graduates (since 2013). Fellows accepted into the PMI Fellows program will be assigned an NCPMI mentor and will create a professional development plan based on their goals. The fellowship can be conducted virtually, and will give fellows the chance to develop materials for and conduct trainings; collaborate on and summarize research; and develop policy materials. We invite qualified candidates to read more about this opportunity on NCPMI's website. Applications are due by Aug. 15, 2018. Engaging Parents and Families: Just One Year! We invite you to view A Year in the Life: Parent Centers in Action, a new infographic that shows what parent centers across the country can achieve in just one year! The infographic displays such information as who parent centers are helping, how they help, the languages they use to help, the amount of and ways in which they disseminate information, the disabilities they address, and the systems-change activities they participate in. 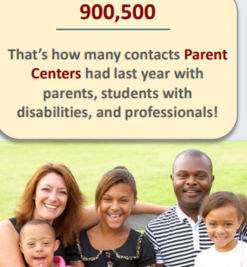 This resource shows that parent centers are vital partners and capacity-builders for families of children and youth with disabilities; for the professionals who work with these children and youth; and for the states, early intervention systems, and schools responsible for so much in their educational and developmental well-being. On June 28, OSEP published Letter to Anonymous. The letter addresses whether special education and related services must continue to be provided to a child who has been reevaluated and was determined no longer eligible for special education and related services, while an independent educational evaluation at public expense is pending. The State Implementation and Scaling-up of Evidence-based Practices Center (SISEP) has worked with the Kentucky Department of Education (KDE) to develop a cohort of implementation teams at the district and school levels that have led to improved student outcomes. SISEP’s latest eNote newsletter, "Kentucky: Accomplishing Effective and Durable Change to Support Improved Student Outcomes," describes this effort and the impact it has had so far. You can check out KDE's white paper on how it uses its SSIP to acheive these outcomes, including what KDE has learned during the journey. We also invite you to view the SISEP eNote archive and subscribe to more state success stories here. Applications are due Aug. 2, 2018, for OSEP's Stepping-up Technology program, to facilitate the implementation of evidence-based technology tools that benefit students with disabilities and children or students with high needs. Applications are due Aug. 8, 2018, for a separate opportunity that will fund a center on technology systems in local educational agencies. Model demonstration projects test evidence-based practices in the typical settings in which they would be implemented. OSEP is accepting applications for several model demonstration projects to improve academic outcomes for students with intellectual disabilities in elementary and middle school. Applications are due Aug. 13, 2018. OSEP is accepting applications for associate degree pre-service program improvement grants to support personnel working with young children with disabilities. These grants provide funds to four-year institutions of higher education to partner with community colleges to enhance and redesign their associate degree programs. Applications are due Aug. 13, 2018. OSEP invites applications for national and regional parent center technical assistance providers. Applications are due Aug. 23, 2018. (2) the Center on Dispute Resolution will provide TA to state educational and lead agencies and OSEP-funded parent centers to improve the implementation of IDEA-required dispute resolution practices. The Institute of Education Sciences' National Center for Special Education Research (NCSER) has announced 29 grant awards for its 2018 Special Education Research Grants competition, representing an investment of more than $49 million! The grants have been awarded to colleges, universities, and research agencies. We encourage you to view the full list of 2018 grantees, including each of the projects' abstracts, on the NCSER website. 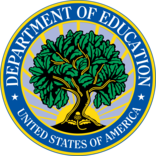 On June 27, the U.S. Department of Education (ED) released A State’s Guide to the U.S. Department of Education’s Assessment Peer Review Process. It replaces the 2015 version of the guide, with updates to the process and critical elements for ED’s peer review of state assessment systems. The new guide incorporates changes to standards and assessment requirements enacted by the Every Student Succeeds Act (ESSA). OSEP continues to collaborate with our colleagues across ED on the peer review process and other ESSA implementation-related activities. You can find this guide and other ESSA standards and assessment peer review resources on ED's website. The Office of Special Education and Rehabilitative Services (OSERS) Blog was chock-full of interesting stories and perspectives this month. We heard from the parents of Aren Wang (pictured right), an impressive young man who recently made waves at the Scripps National Spelling Bee. Aren's talents and drive are sure to leave you inspired. We also interviewed Kate Roper and Eve Wilder from the Massachusetts Department of Health. Roper and Wilder shared details about their work with the Massachusetts Early Childhood Comprehensive Systems project (MECCS), and emphasized the importance of building strong cross-agency partnerships and using parent leaders in the community to reach isolated families of young children. MECCS focuses on improving developmental outcomes for infants and toddlers in two high-need communities. OSERS is on Twitter with the latest tweets from special education advocates, educators, families, and students. Follow us @Ed_Sped_Rehab and tell your friends. Assistant Secretary Johnny Collett has joined the conversation, too! Follow him today @JCollettOSERS. We'll see you in the Twittersphere! You can also check out the IDEA Website newsletter archive for past editions of the OSEP Update. Readers are invited to send their feedback on the newsletter to Charlotte.Stein@ed.gov. If you know someone who would like to subscribe to the OSEP Update newsletter and breaking news, encourage them to sign up HERE! This link will also allow subscribers to manage their subscriber settings and unsubscribe.